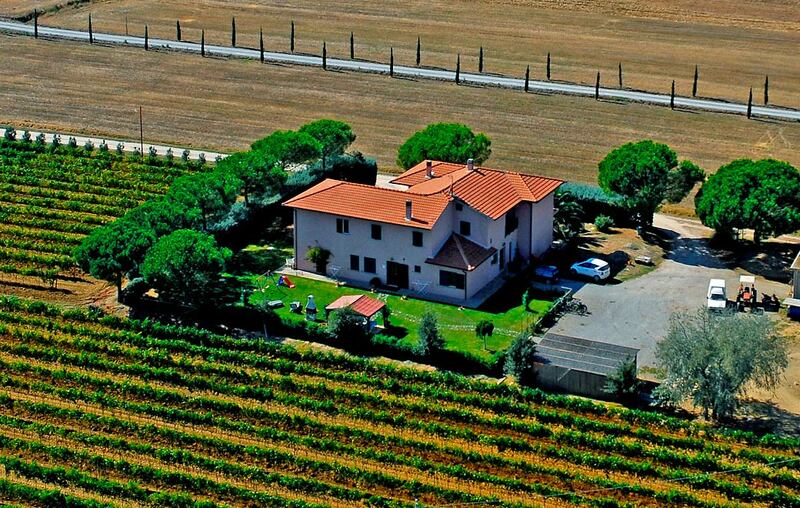 Farmhouse Poggio Campana welcomes you in Orbetello, 4 km from the sea, surrounded by the countryside of Maremma. The property, directly run by the owners, is a quiet shelter where spend a relaxing holiday with your family, friends and partner. Its location allow guests to choose a different destination everyday: the countryside villages or the sea of Maremma. Farmhouse Poggio Campana is indeed located a short distance from the Argentario, the Tarot Garden, the Thermal Baths of Saturnia and the Natural Park of Maremma. Poggio Campana has three rooms furnished with care to grant guests the maximum comfort. These are classic tuscan style rooms that can host up to 3 persons. Outside, in the great garden of the property, is possible to use comfy loungers to bathe in the sun and a gazebo equipped with tables and chairs. Do not miss our special offer: live an incredible holiday in Maremma in our farmhouse. Get to wonderful places as the sea of Argentario or the Uccellina Natural Park and relax in a comfortable farmhouse completely restored, all of this is an holiday at Farmhouse “Poggio Campana”. A short distance from our farmhouse you can reach several villages and natural parks as Magliano, Capalbio, Talamone and the Uccellina Natural Park. Live a relaxing holiday, surrounded by nature…discover the Farmhouse Poggio Campana!